The Super Seal™ Junior is simple to operate and allows users repeatable results. Its compact and robust design makes it an ideal portable cap sealer for any production environment where reliability is necessary. Among the benefits of the operator-friendly display are a digital timer, batch counter, foil counter and missing foil indicator. A carry case is also included to allow for easy transportation and storage of the induction sealer. The Super Seal™ Junior is a high powered, hand held induction cap sealer that is suitable for start-up operations, validation and short production runs. 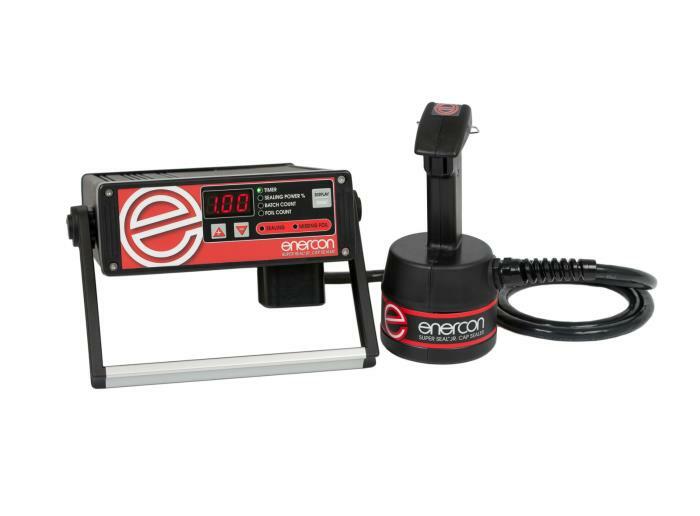 The Auto Junior handheld induction cap sealer is easy to operate thanks to its built-in features that ensure containers are correctly positioned under the sealing coil for consistently strong and reliable seals. This cap sealer is also equipped with a digital timer which lets the user know when the sealing process is complete. The Auto Junior is designed to seal foils from 38-64mm in diameter.